In February 1952, Styron was awarded the Prix de Rome of the American Academy of Arts and Letters, which crowned him a literary star. In Europe, Styron met and married Rose Burgunder, and found himself immersed in a new generation of expatriate writers. His relationships with George Plimpton and Peter Matthiessen culminated in Styron introducing the debut issue of The Paris Review. 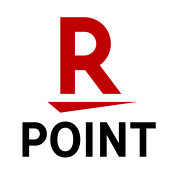 Literary critic Alfred Kazin described him as one of the postwar “super-egotists” who helped transform American letters. His controversial The Confessions of Nat Turner won the 1968 Pulitzer Prize, while Sophie’s Choice was awarded the 1980 National Book Award, and Darkness Visible, Styron’s groundbreaking recounting of his ordeal with depression, was not only a literary triumph, but became a landmark in the field. 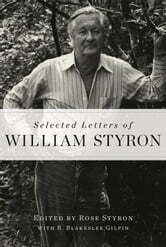 Part and parcel of Styron’s literary ascendance were his friendships with Norman Mailer, James Baldwin, John and Jackie Kennedy, Arthur Miller, James Jones, Carlos Fuentes, Wallace Stegner, Robert Penn Warren, Philip Roth, C. Vann Woodward, and many of the other leading writers and intellectuals of the second half of the twentieth century. This incredible volume takes readers on an American journey from FDR to George W. Bush through the trenchant observations of one of the country’s greatest writers. Not only will readers take pleasure in William Styron’s correspondence with and commentary about the people and events that made the past century such a momentous and transformative time, they will also share the writer’s private meditations on the very art of writing.